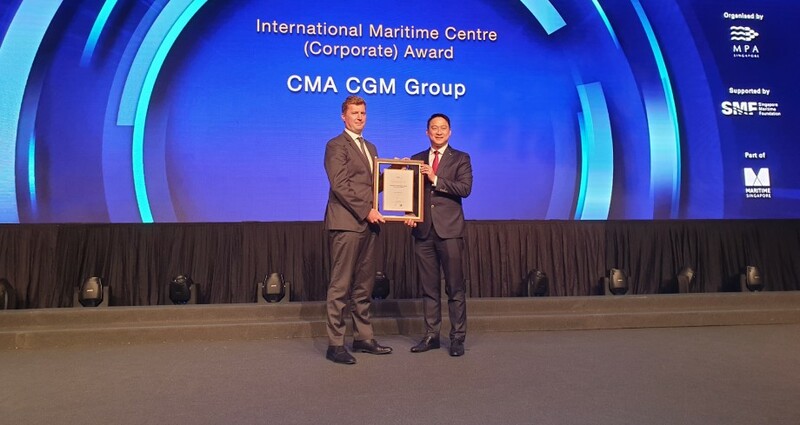 The International Maritime Centre (Corporate) Award has been given to shipping group CMA CGM at the Singapore International Maritime Awards held yesterday in the city state. “We are very pleased to receive this award which highlights our commitment to Singapore, where we have established our regional hub for Asia-Pacific and where we have launched a series of initiatives and collaborations with homegrown maritime companies,” said Mathieu Girardin, vice president of CMA CGM’s Asia regional office. 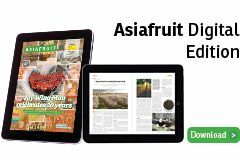 “We are proud to thereby actively contribute to Singapore’s status and development as an international maritime centre,” he said. Since 2016 CMA CGM has set its regional hub in Singapore where the company’s subsidiary, APL, is also headquartered. The group said it has also entered into several strategic partnerships aimed at boosting its presence and developing Singapore as an international maritime centre, as a testimony to its local commitment. Two of the partnerships include CMA CGM’s Zebox and PSA unboXed, which respectively seek to incubate and accelerate innovative start-ups, and drive digitalisation and innovation in the supply chain. A terminal joint venture has also been formed between the group and port operator PSA International, called the CMA CGM-PSA Lion Terminal. The terminal has a total operating capacity of 4m TEUs – a milestone for the group in developing a deeper root in Singapore.